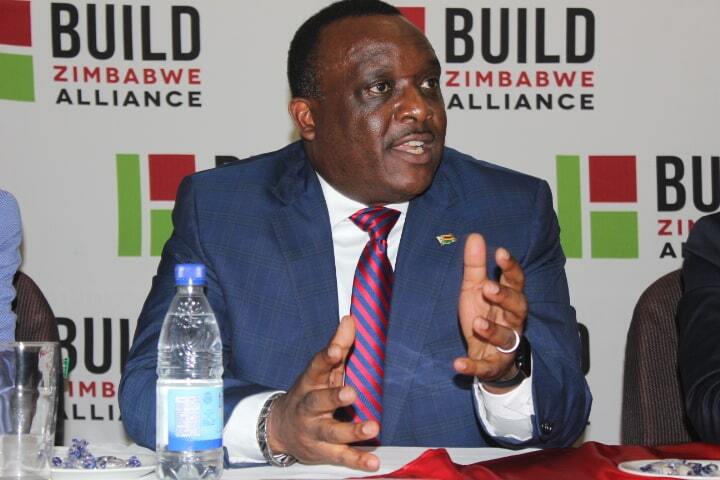 Build Zimbabwe Alliance (BZA) Presidential hopeful, Dr Noah Manyika has availed the second part of his policy document dubbed ‘The War on Poverty’ saying his incoming government is committed to end extreme poverty that has bedeviled the Zimbabwean community for at least three decades. ‘The War on Poverty’ policy document targets infrastructural development aimed at increasing the economic activity tempo through the integration of rural economic activity with the national economy. “Poverty constitutes an economic dead weight which can only be removed by turning rural communities into high performance economic zones. “A highly developed rural road network that gives farmers quicker access to markets, and a national irrigation program that frees them from dependence on rain fed agriculture will have a much greater impact on economic performance than command agriculture or exclusive focus on roads that connect the big cities,” reads the document. Manyika said his policy document aims to uplift the lives of women and children whose plight cannot be changed without addressing the roots of poverty. He further revealed his plans to intensify rural electrification for the betterment of the rural people particularly women whom he said are the most affected by household energy problems. “Women and children are also the ones most impacted by the household energy poverty in the rural areas where less than 10 percent of households are electrified, and by drinking water not being readily available. The War on Poverty policy agenda further seeks to save the grassroots population from political manipulations among other ill treatments common during election seasons. Manyika maintains that Zimbabwe cannot experience a sudden graduation into the first world before it wins against the shackles of poverty rooted deep in its people.